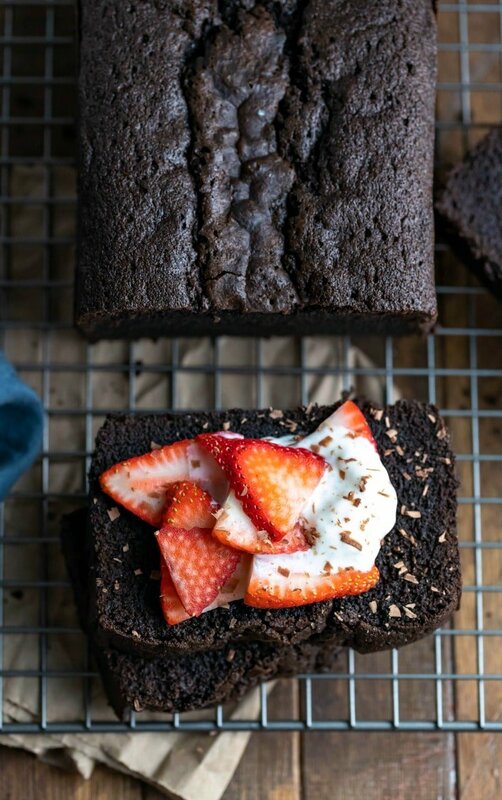 Chocolate Pound Cake tastes like a cross between a brownie and a piece of chocolate cake. 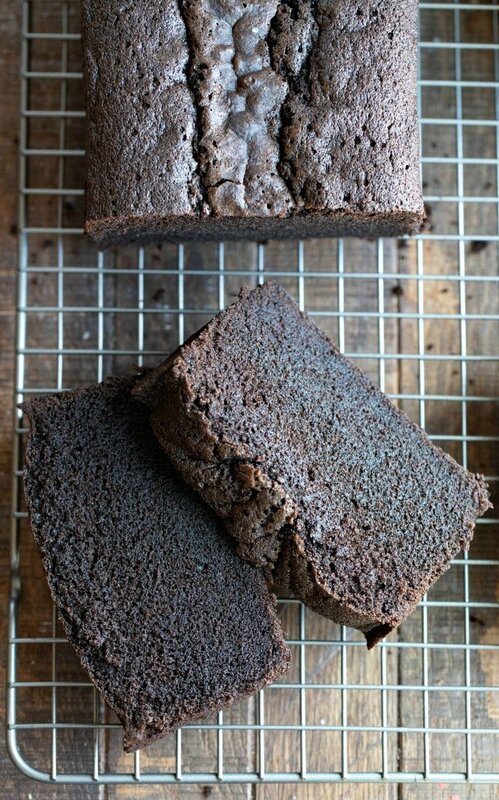 This rich chocolate cake is so simple but so good! This cake. This cake is just so good! 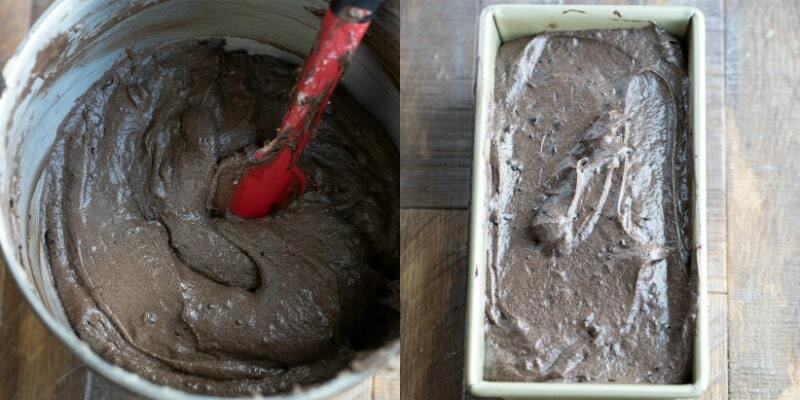 My husband described it perfectly when he said that it tastes like a cross between chocolate cake and a brownie. 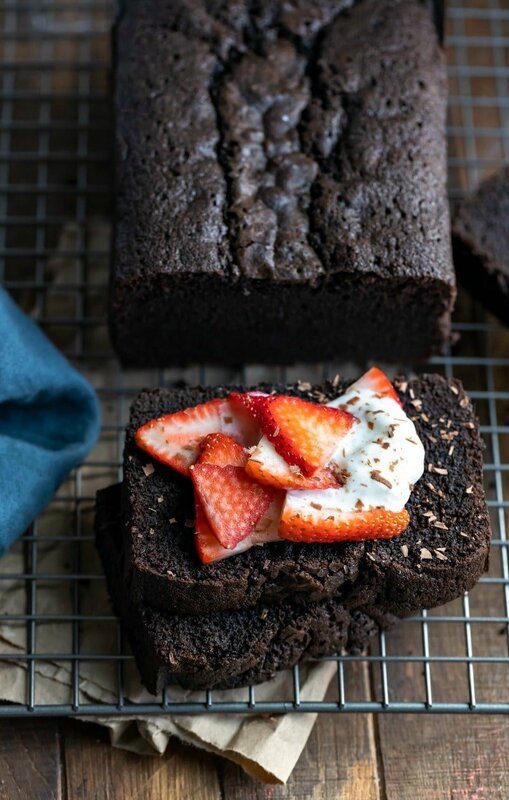 It’s moist and chocolaty and a little dense without being dry or heavy. It also has a light, shiny crust that’s similar to the top of a brownie. Chocolate pound cake is delicious as-is, but since it isn’t super sweet, it’s pretty amazing with ice cream or sweetened whipped cream. Begin by placing chopped chocolate in a heat-proof bowl. Pour boiling water over chocolate, and stir until melted. Once the chocolate has melted, stir in the cocoa powder. Set aside. In a large mixing bowl, beat butter and sugars together until well-combined. Add in the vanilla, and mix in the eggs one at a time. Add the flour, baking powder, and salt. Stir just until combined, and don’t overmix. 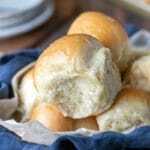 Pour the batter into the prepared loaf pan, and bake. Do I have to use Dutch-processed cocoa powder? I recommend it. 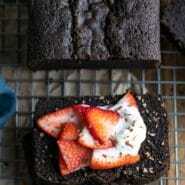 I used Hershey’s Special Dark Cocoa in the loaf pictured here. However, you can use unsweetened cocoa powder if you prefer. 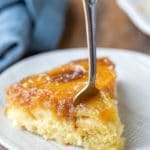 This pound cake pairs really well with ice cream or sweetened whipped cream. 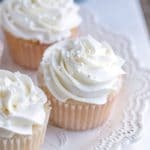 My favorite way to top it is with sweetened whipped cream and fresh strawberries. This cake will keep for about 3 days stored, covered, at room temperature. 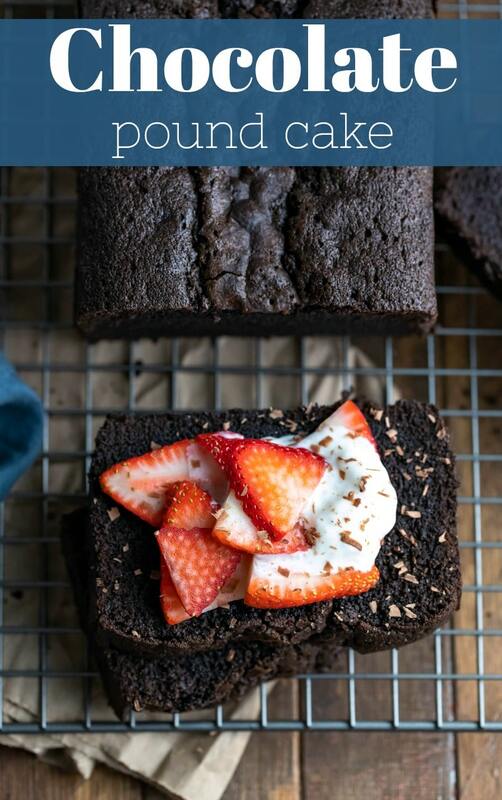 If you’ve tried this chocolate pound cake recipe, don’t forget to rate the recipe and leave me a comment below. I love to hear from people who’ve made my recipes! You can SUBSCRIBE to receive my latest recipe newsletters or FOLLOW ME on FACEBOOK, INSTAGRAM and PINTEREST for even more delicious food. Preheat oven to 325 F. Grease and flour a 9x5-inch loaf pan. Set aside. 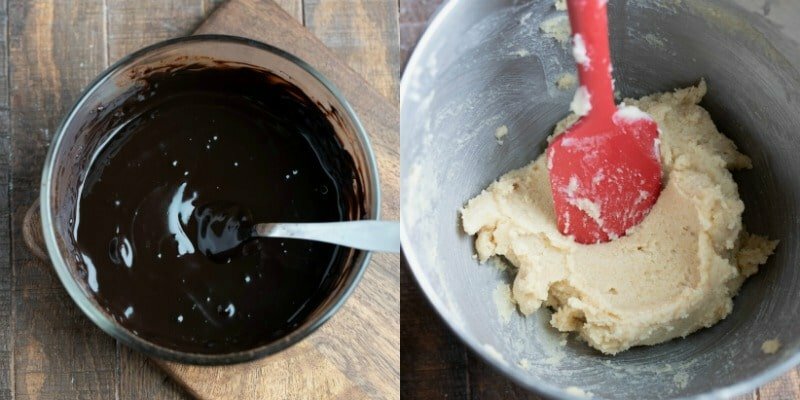 Add chopped chocolate to a heat-proof bowl. Pour boiling water over chocolate, and stir until melted. Whisk in cocoa powder until combined. Set aside. In a large bowl, beat butter and sugars together until well-combined, about 2-3 minutes on medium-high. Add vanilla, and mix in eggs one at a time until combined, about 2 minutes on medium. Add flour, salt, and baking powder. Stir in just until combined. Do not overmix. Pour batter to prepared pan. Remove to wire rack, and cool to room temperature before slicing. To properly measure the flour, either weigh it or aerate (sift or stir), spoon, and level. The toothpick should have a just a few fudgy crumbs - similar to what you look for when baking brownies. 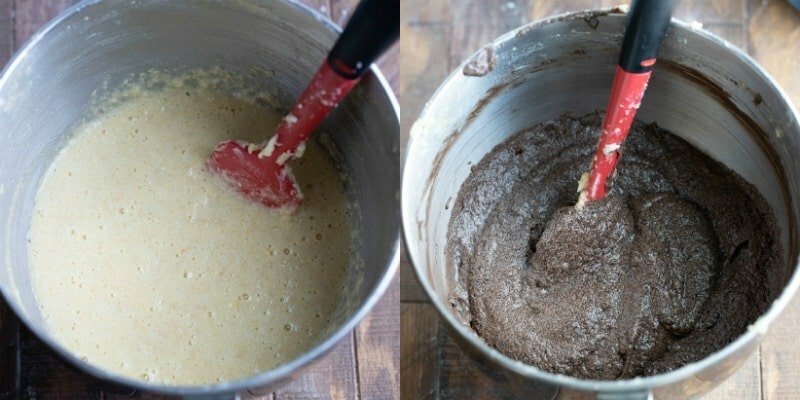 Wet batter means that it needs to bake longer. I made this for a coworker’s birthday. It was one of the best cakes I have made. Everyone wanted the recipe.